Gabriel Fauré was professor of composition at the Paris Conservatoire in 1896, and the great flutist Paul Taffanel, who also taught there and was a great friend of his, asked him for a concours composition, which turned out to be the famous Fantaisie, Op. 79. For the same occasion Fauré also composed a brief sight-reading piece titled “Morceau de lecture”, that would provide a good test of musicianship. 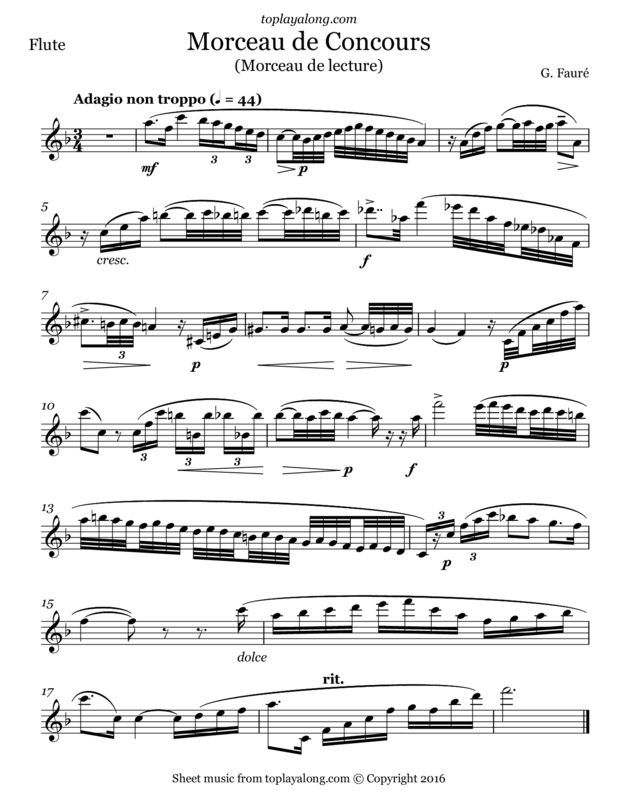 “Morceau de lecture is a mere arabesque dutifully spun out in the requisite scales, arpeggios and mordents, the apt execution of which demonstrates proficiency. This functional exercise plays out slowly over a spare piano accompaniment for about a minute and a half.